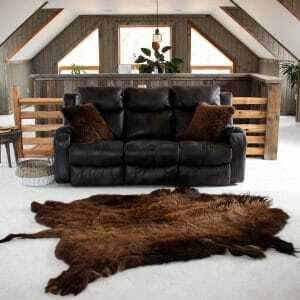 We’re known worldwide for our luxurious Buffalo hides! Measures: Approximately 81″ (6.75 ft) x 64″ (5.3 ft). 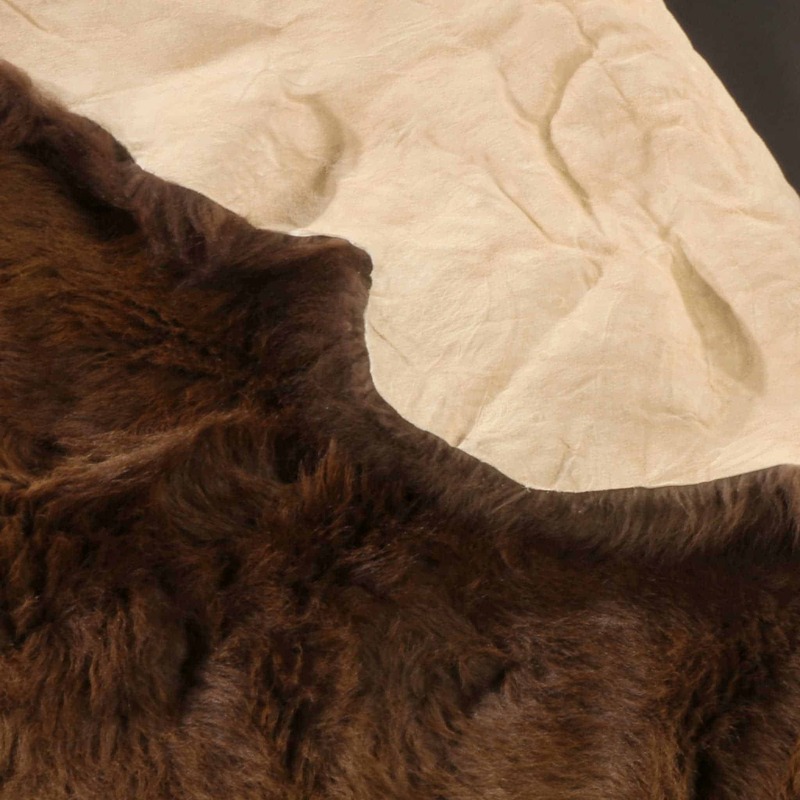 A uniquely American tradition, tanned buffalo hide has been used to warm and decorate homes for thousands of years. 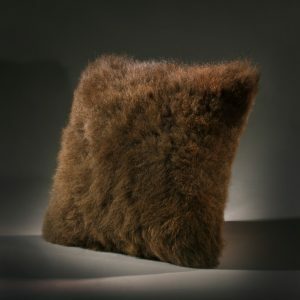 During the winter the buffalo hide is at its densest and most lustrous and make for the best hides. 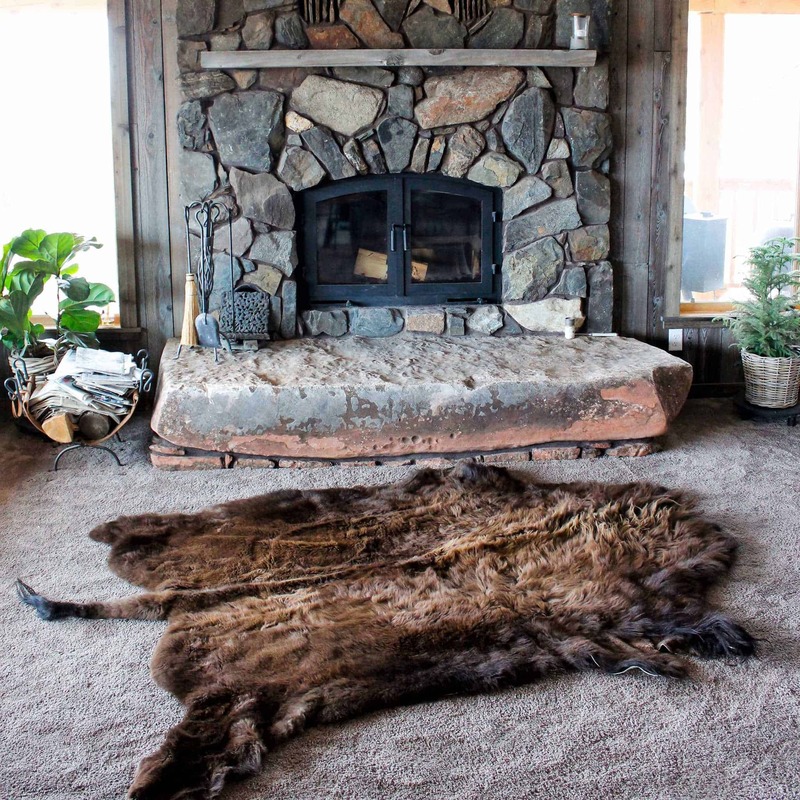 Merlin’s Hide Out is a world leader in the tanning and preparation of buffalo hides. 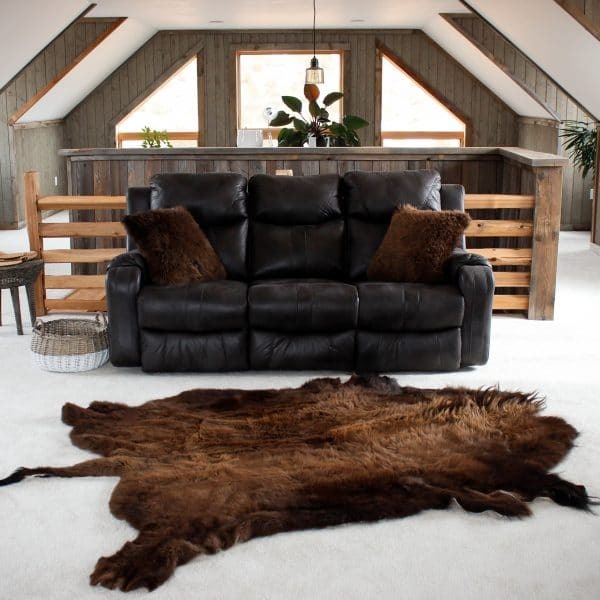 Our winter buffalo hides display a range of rich and deep hues, from dark coffee brown to golden caramel. 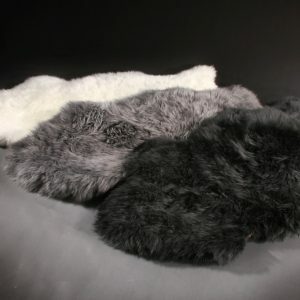 The fur is soft and thick, making it ideal as rug or throw to chase away the cold. Next to the hearth, for the bed or on the back of a chair, Merlin’s Hide Out buffalo hides add texture and warmth to any room. 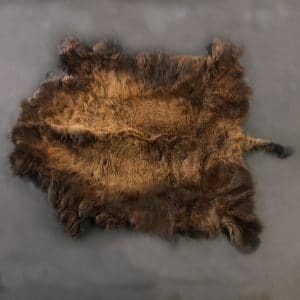 Hides are trimmed and sewn for clean, continuous fur and edges but retain their individual character and natural imperfections. 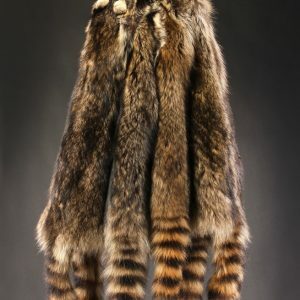 No artificial dyes are used so each robe has its own distinct pattern and coloration. 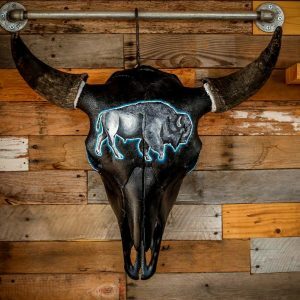 Merlin’s Hide Out buffalo hides are prepared using sustainable tanning methods that avoid harsh, toxic chemicals while honoring the long, storied tradition of the North American buffalo hide. 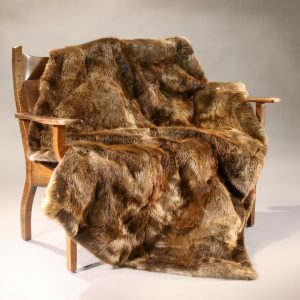 Hi Barb, The hide arrived yesterday. It looks great! Thanks so much! 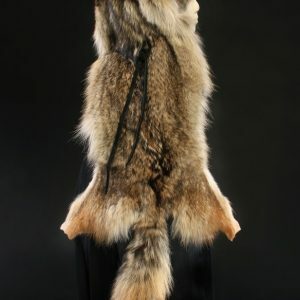 I just received the Buffalo Hide. I’m very, very well pleased. 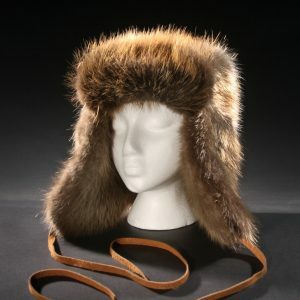 Hi Barb, I received the Buffalo hide today and just opened the box. I am speechless. The hide is beautiful! 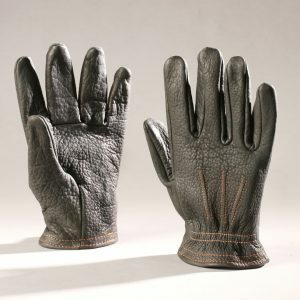 I am just overwhelmed at the hide, and the service you have provided. You hardly see that anymore. I will always come back to you and your company for future business. I again want to thank you again. I’m just super impressed! You all are a first rate business. 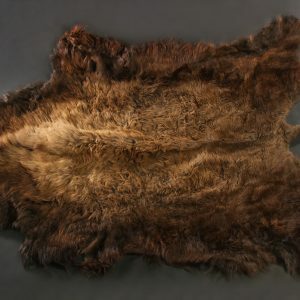 The Buffalo hide that I ordered arrived today. I am currently working out of state but my mom and dad placed it in the house and even sent a few pics and it looks gorgeous. Just wanted to let you know that all is well. 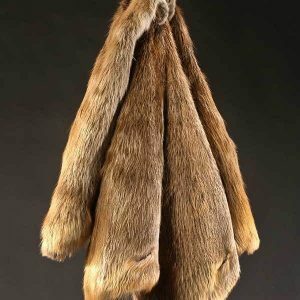 I did receive the buffalo hide last Wednesday. It is beautiful! 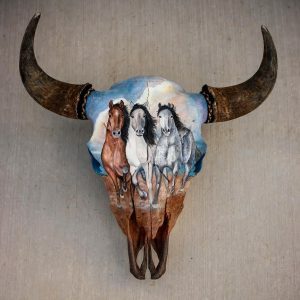 It is a birthday present for my husband so hopefully, he loves it too. 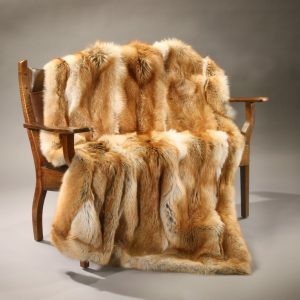 Hey barb, the hide looks fantastic, I love the color, the shape, the size of the one you picked. Thank you so very much for all your help.